Whether you're saving someone's home from a burning blaze or saving a forest from wildfire - men and women like you are true heroes for fighting fires. It's your duty to face danger and stare down fear. You're the first to respond in all sorts of emergencies. 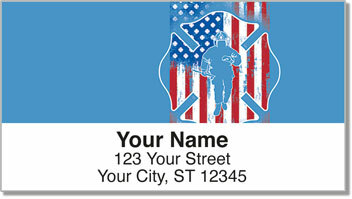 Firefighter Hero Address Labels from CheckAdvantage were designed especially for the gutsy, hard-working, devoted people who put their lives on the line to protect ours. 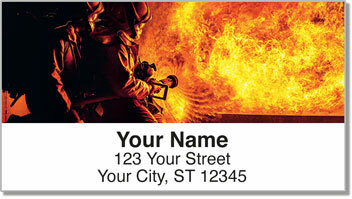 These convenient address labels make sending outgoing mail easy - because sometimes your job is anything but. 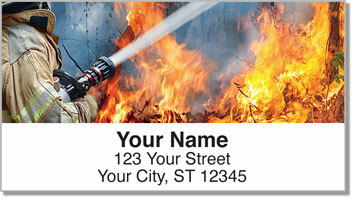 Order your very own Firefighter Hero Address Labels right now! 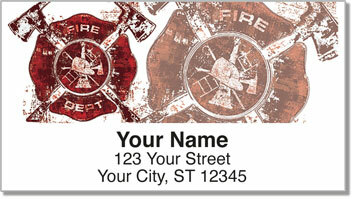 We also offer this impressive design in a set of personal checks.